This is the most incredible discovery! Love the depth in the beautiful scenic. 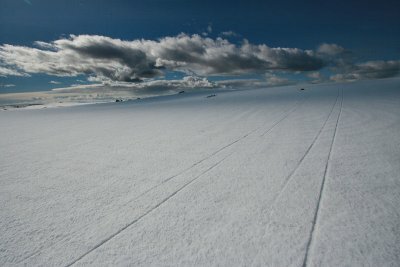 Stunning sky and great lines in the snow. The wide angle view really works here. V.
Great sky and a breathtaking view...must be great to ski there! wow, endless, terrific view, compo ,love that sky too Terri. Such great composition, and that wide angle is really working for you.